All changes are made at the discretion of the Cemetery Board of Managers. 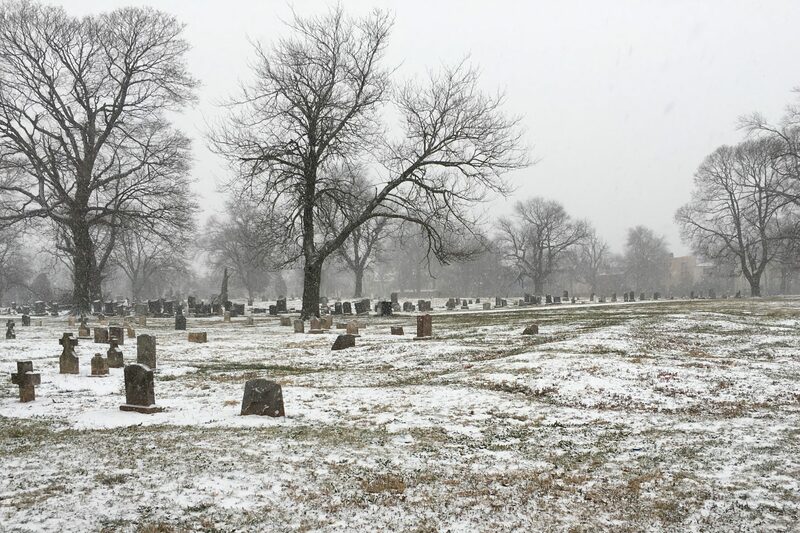 For the mutual protection of lot owners and to preserve the beauty and dignity of the cemetery, the following rules and regulations have been adopted by the Woodland Cemetery Board of Managers for Woodland Cemetery. All lot owners and visitors within the cemetery shall be subject to said rules and regulations and to such other rules and regulations, amendments, or alterations as shall be adopted by the Cemetery Board of Managers from time to time. The Cemetery Board of Managers reserves the right to make exceptions, suspensions, or modifications of any of these rules and regulations, without notice, when in the judgment of the Management such action appears necessary; and such temporary exception, suspension, or modification shall in no way be construed as affecting the general application of such rules and regulations. The Cemetery Board of Managers reserves the right to adopt additional rules and regulations or to amend, alter, or repeal any rule, regulation, article, section, paragraph, or sentence in these rules and regulations, at any time. Woodland Cemetery operates in accordance with the laws of the State of New Jersey. The Cemetery, its grounds, and buildings are the private property of Woodland Cemetery. Therefore, the Cemetery reserves the right within its sole discretion to compel all persons entering to have proper identification and to refuse admission or use of any facility at any time to any person or business when the Cemetery may deem such admission or use of facilities are contrary to the best interest of the Cemetery and its lot owners. HOURS. Woodland Cemetery is open from 8AM until 5PM, daily. No person shall be allowed in Woodland Cemetery outside of the posted hours, without first securing permission from the Cemetery Management. All work in the Cemetery must be done during normal working hours. VEHICULAR TRAFFIC. The entrance for vehicular traffic is located at 670 South 10th Street. No vehicles, including bicycles, are permitted within the cemetery grounds, except for cemetery business. Motor vehicles will not be operated with the Cemetery at a rate of speed that is greater than 15 miles per hour. GRAVE MARKERS. Monuments, headstones and markers may be erected subject to the approval of the Board of Cemetery Managers. All requests must be in writing and contain the lot number and section. DAMAGES. The Cemetery Board of Managers is not responsible for any theft or damage to monuments, headstones, or markers. The Cemetery Board of Managers will not be responsible for the theft or damage of any flowers, decorations, holders, or other items placed at graves. Any person causing damage within the cemetery shall be liable to the Woodland Cemetery Board of Managers for such damage. PROHIBITED CONDUCT. Children under 18 years of age, unless accompanied by adults, are not permitted on cemetery grounds. The possession of firearms within the cemetery grounds is forbidden, except by military or other organizations may carry arms for the purpose of firing over the grave. All persons are prohibited from gathering flowers, either wild or cultivated, or breaking trees, shrubs or plants, or feeding or disturbing animal life within the cemetery. Discarding waste on any part of the grounds or buildings, except into designated receptacles, is prohibited. No person shall engage in any fight, argument, or disturbance in the cemetery. No person shall interrupt or disturb any funeral or memorial service. FLOWERS AND DECORATIONS. Artificial or fresh cut flowers may be placed at any time; however, they will be discarded when dead, faded, broken, or of a similar nature, or if they become detrimental to the maintenance of the cemetery. No shrubs will be planted or replaced without written permission. Vigil lights and glass vases or containers are not permitted on the grounds. BURIAL PRICE SCHEDULE. Every lot or grave space is sold subject to the rules now in force or herein adopted. Upon full payment for a lot or grave space, a Deed will be issued to the owner. Only one Deed per lot is issued. The lot owner or the owner’s legal representative may at any time designate in writing to the Cemetery Board of Managers who the owner does or does not wish to be buried in the owner’s lot or grave. Such notice shall be notarized by a Notary Public. The owner of a burial lot may, at any time, transfer this right to another person. All applications for transfer must be made in writing to the Cemetery Board of Managers and must state the reasons for the transfer. Such documents must be notarized by a Notary Public. INTERMENTS. The cemetery will be open for interments from 8:00 AM to 4:00 PM, Monday through Saturday, with the exception of any day that is a holiday, or is otherwise specified by the Cemetery Board of Managers. All funerals and interments within the cemetery grounds shall be under the direction of the Cemetery Board of Managers. All charges made for services or activities shall be in accordance with the most recent schedule of charges established by the Cemetery Board of Managers. For all disinterments, a Funeral Director must be engaged to ensure compliance with relevant New Jersey State laws. Removals are not to be scheduled in winter months. During any disinterment, no person other than Cemetery Managers, Funeral Directors, or Vault Company Personnel shall be allowed within one hundred feet of the gravesite. All fees for an interment or disinterment must be paid prior to the interment or disinterment.